“Brutal Planet” is the 21st studio album by the King of Shock Rock, Alice Cooper. The album’s concept deals with dark “social fiction” including domestic violence (“Take It Like A Woman”), war (“Pick Up The Bones”) and school shootings (“Wicked Young Man”). 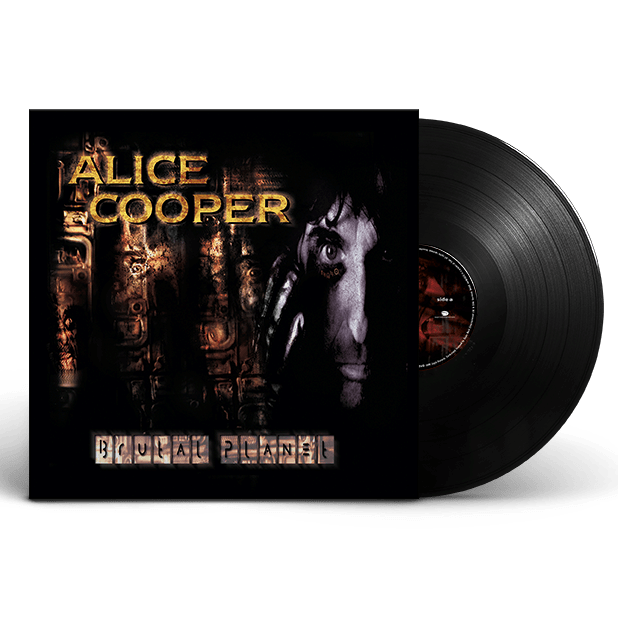 Musically, “Brutal Planet” finds Alice tackling a much darker and heavier approach than on previous albums, with many songs approaching a somewhat modern-sounding, industrial/metal sound.